Stop measuring your progress based on others and where they are. "New year, new semester, new hair, new me..."
Feel free to change any of the words following 'new' and you have about every college kid's first caption of 2018. Everyone is excited for the firsts of the year and has vowed to make changes to their life, their lifestyle, their eating habits, their workout routines, their school stress, their schedules, their outward appearances, etc., etc. And I think it is great for people to make changes in their life as they start fresh in this first month of the new year. I have no problem with making these changes, I mean let's be honest, I almost always make new year/new semester resolutions. But I've realized that oftentimes our resolutions are just in response to others and are a form of comparison. Instead of wanting to eat right for ourselves and for the good of our bodies, skin, and energy, we do it because we want to look like someone else. What happened to just doing good things for ourselves, without worrying about what other people are doing? If I keep comparing my progress and my goals to everyone else and their life then I get so caught up in that I can't focus on myself or my goals right now. My happiness gets wrapped up in other people and how I compare myself to them in different aspects of my life. 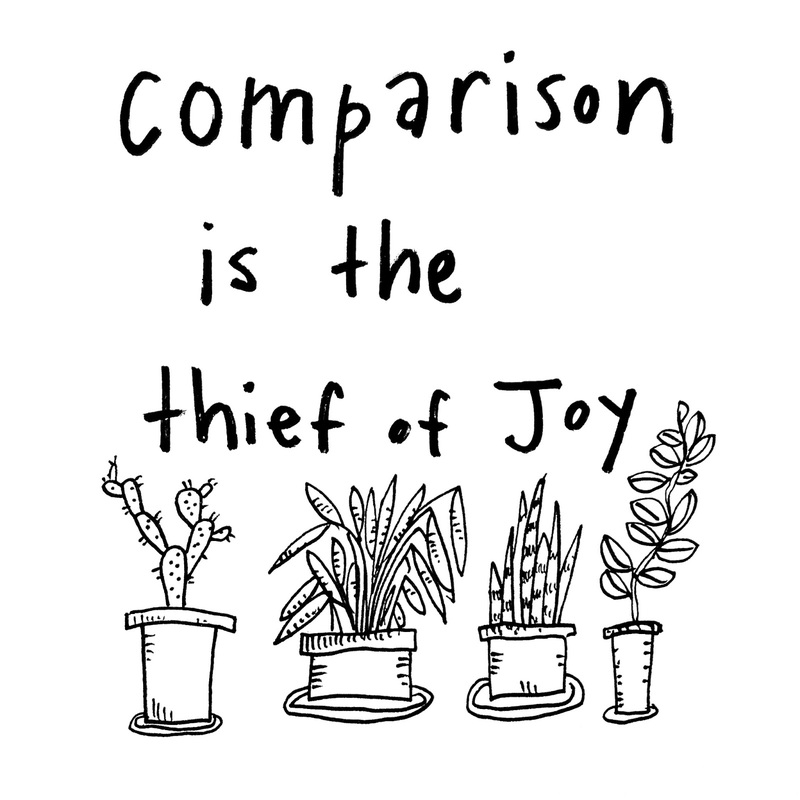 But when I start working towards my goals for the sake of improving myself, then I don't let comparison come in and steal my joy. Let's worry less about what other people are doing and what other people think about us, and start just being content with where we are, the progress we are making on our own, and who we were made to be. Wake up every day remembering that "comparison is the thief of joy" and that we should "put on the new self, created after the likeness of God in true righteousness and holiness (Ephesians 4:24)." We have no reason to compare ourselves to someone else when we are loved by a perfect Savior and Creator who fills us with joy again and again.